Elegant, original design creation. This sensational pink coral tutu dress will look lovely on your princess. Whether worn at a party or used for a photo prop, the sequins on the bodice glisten in the light making your little dancer the life of the party. This coral tulle tutu is hand sewn like all our garments. This is a one-a-kind couture dress designed for one very special little girl. Accented by an elegant French Bow at the waist. 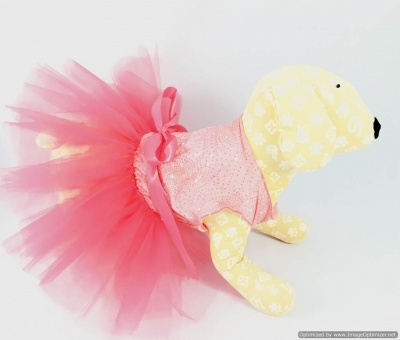 Sequined Pink Ballerina Tutu Dress is an elegant, original design creation. This sensational pink coral tutu dress will look lovely on your princess. Whether worn at a party or used for a photo prop, the sequins on the bodice glisten in the light making your little dancer the life of the party. This coral tulle tutu is hand sewn like all our garments. This is a one-a-kind original dress designed for one very special little girl. 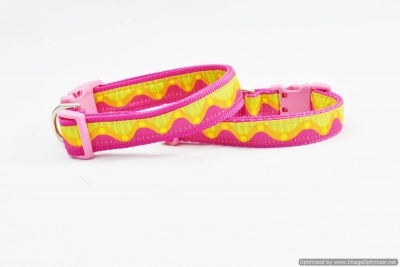 Dress your pet with sassy color. Designer Kaffe Fassett mixes&nbsp his distinct bold colors and abstract designs that he’s famous for. Colors include shades of blue shades of green and shades of purple. Featuring the hottest designer fabric on the market. PERSONALIZE IT with your pet’s name or cell phone number! 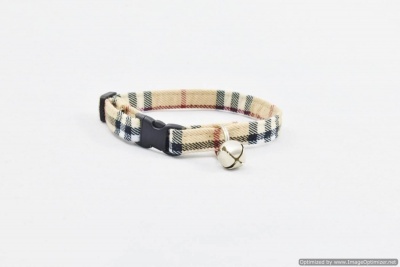 This listing is only for the collar but you may order the matching leash separately, in the leash listing. You’ll never see this unique product in a pet shop! 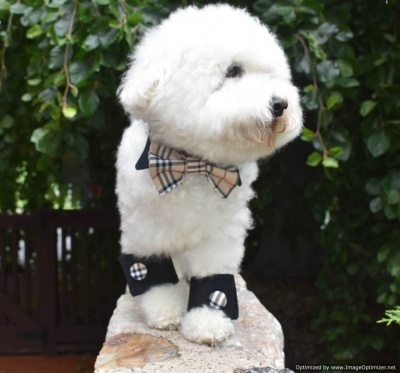 Classic and Distinguished Set of Straight Point Black Collar, Tan Plaid Bow Tie and Black Cuffs with matching plaid designer plaid buttons for your dog or cat! Sewn with skill, using crisp black cotton and cotton blend designer fabrics, the collar is fully lined for stiffness, and has a Velcro closures at the back of the neck. The collar is perfect for everyday use, special occasions and don’t forget the holidays and birthday parties! Planning a wedding or attending one? Your custom order in any fabric combo is welcome! Always dress your dog or cat to match the occasion! Take your little man to the office in his straight point collar, designer bow tie and cuffs. YOU MUST PUT THE WRIST SIZE IN THE NOTES AT CHECKOUT. THE NECK SIZE IS ALREADY IN THE OPTIONS LIST FOR YOU TO CHOOSE. 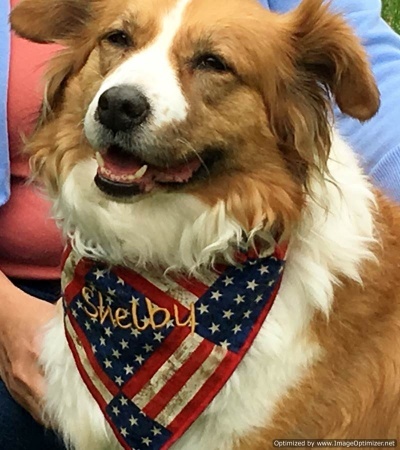 This Reversible Stars and Stripes Patriotic Dog Bandanna is an easy way to dress up your dog, five patriotic days of the year or wear it any day to show your American pride! Even dogs that don’t normally wear clothing can get into the patriotic spirit with this beautifully crafted dog accessory. With two bandannas in one, wear the front side with the flags or flip it over to wear the gold stars on navy. Decorative border. Choose from four sizes! 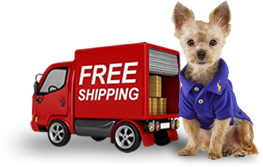 PERSONALIZE IT FREE with your pet’s name! 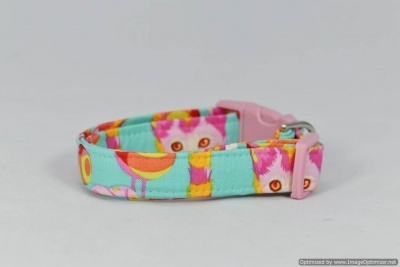 Dress your pet with imaginary quirk and color: Aqua, Pinks, Orange, Apricot, Lemon and more. Featuring the hottest designer fabric on the market, Tula Pink, there is a brightly colored spotted tabby cat that is camouflaged into the tree and elegant acanthus leaves. You may see a glimpse of hot pink eyes and since it’s camouflaged in, the brain recognizes a sassy color rush rather than a domestic animal. PERSONALIZE IT with your pet’s name or cell phone number! 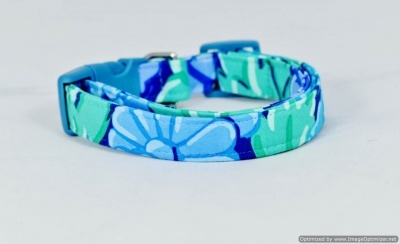 This listing is only for the collar but you may order the matching leash separately, in the leash listing. 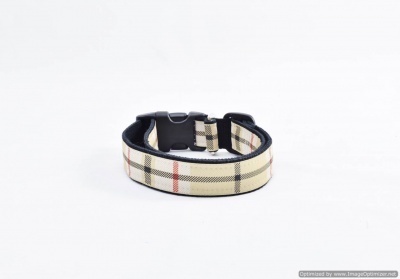 This famous designer Burberry-style Cat Collar on your pet cat shows total class and sophistication for you as well as your cat. 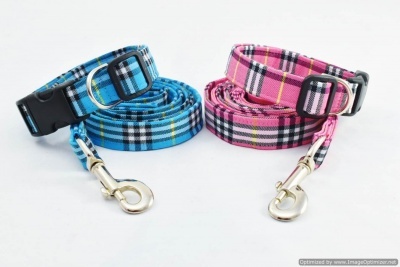 This famous designer collar and leash on your dog shows total class and sophistication for you as well as your dog. 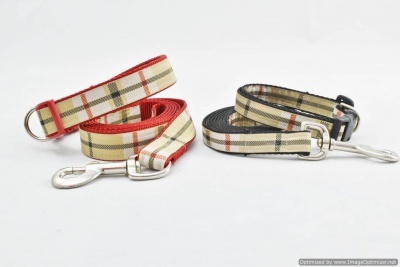 This famous designer PREMIUM TAN PLAID LEASH for your dog shows total class and sophistication for you as well as your dog. This famous designer collar on your dog shows total class and sophistication for you as well as your dog. PERSONALIZE IT with your pet’s name or telephone number! 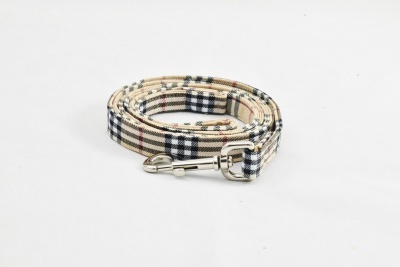 This famous designer collar and lead on your dog shows total class and sophistication for you as well as your dog.